Zosia Jo is a dance artist with 10 years experience facilitating in community settings and especially with children and young people. With her company, Joon Dance, she runs an annual summer school at Torch Theatre, Milford Haven and often makes performance work with and for young audiences. 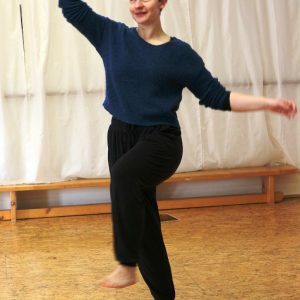 Zosia has practised Contact Improvisation for some time and recently completed the official Contakids training with Itay Yatuv to bring together these different elements of her work.